You may remember me posting this image in my social media accounts recently. 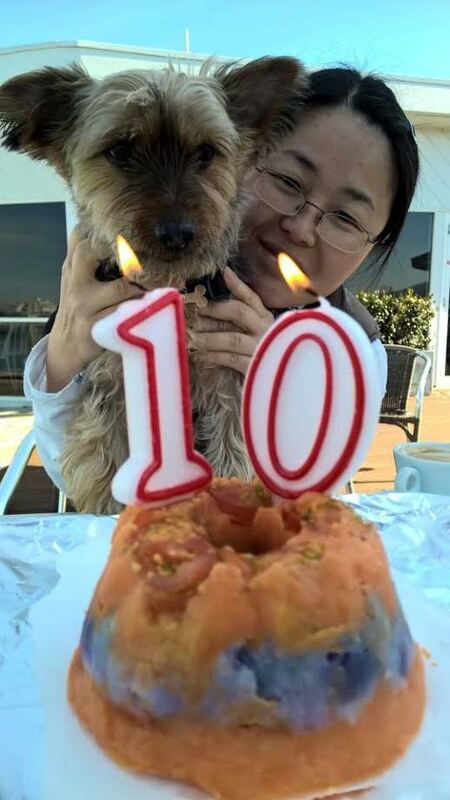 One of our dear friends asked me to make a birthday cake purely made from sweet potato and cherry tomatoes (Rocky’s favourite foods) for their very special family member Rocky. Honoured, I straight away came up with this. *I thought I’d surprise him and purchase a purple sweet potato to add a colour contrast. *I steamed some red sweet potato and purple sweet potato and once cooked but firm I removed them from the heat to cool. *I then mashed each potato separately. * Pressing some red sweet potato down onto the tin on top of the cherry tomatoes to make the first layer. 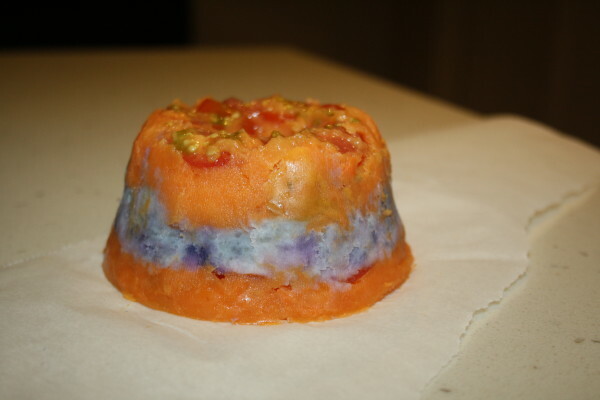 I then pressed some purple sweet potato for the second layer. Making sure that it was compact. 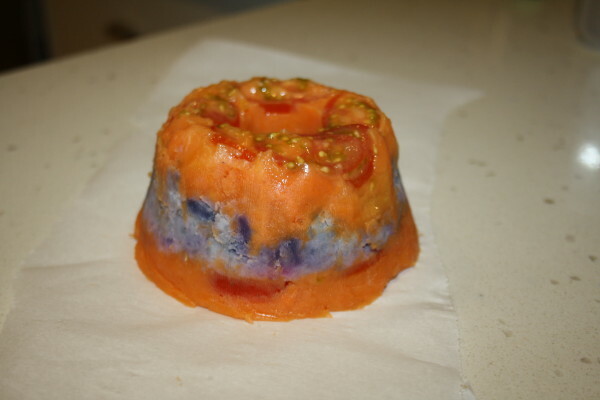 *I added some more sliced cherry tomatoes on top of the purple layer then finished with the red sweet potato. Pressing it down and tapping it on the beach so it would all fit in. I covered it with glad wrap then refrigerated it for a couple of hours to firm up. Worried it wouldn’t pop out when we were ready to show our friend, after a lot of tapping Nothing!! It wouldn’t budge! So I just slid a sharp knife around the sides and it then popped out. JUST PERFECT and our friends were very happy! Rocky loved his 10th Birthday Cake very much he was so surprised having never seen such a thing before he needed it cut in slices for him to enjoy it longer. This cake is not limited to dogs it would make a yummy vegetarian birthday cake for someone special too!